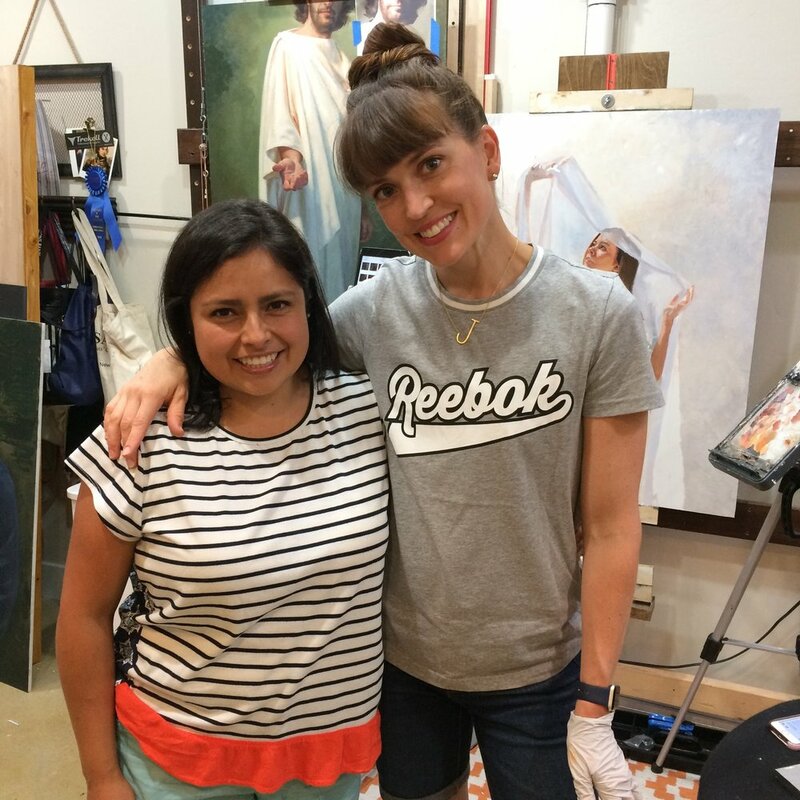 I had the privilege of getting some time with Jenedy Paige a realist painter in Utah. Meeting in person was a treat. She opened her house and studio so generously and welcomed me as a friend. I really wish we were neighbors! Her beautiful home was embellished with her art, the pieces were astounding and after learning the stories about them, they were even more impactful. There was one figure that had some lace, I looked at it from close and far. I so wanted to touch it, it was so carefully rendered, it looked soft and delicate. But, I behaved and did not touch. I got to see the above painting not yet finished. It is huge and that hand really pops out to reach you. Jenedy uses some creative surfaces to make her big paintings lighter. The texture on her backgrounds are rich and meticulous. A background that it’s build up in layers and carefully scrapped too. 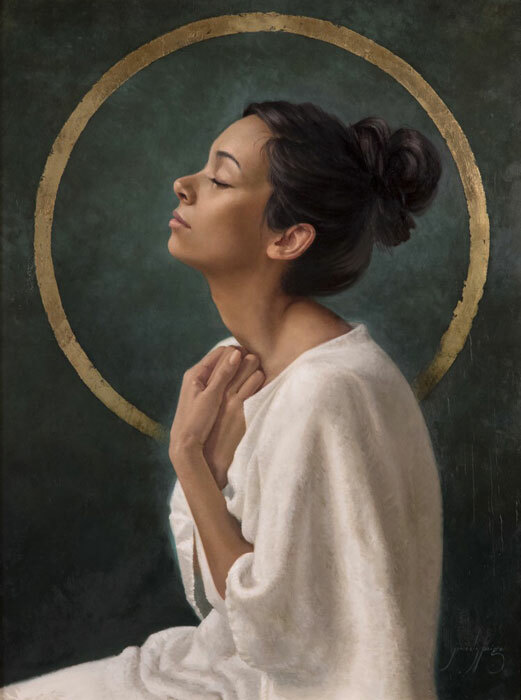 Her under-painting is usually in acrylic as it dries faster, allowing her to add the top layer of oil quicker. Although she is a deliberate and methodical painter. Do you notice those little flying hairs? At the end we talked about the impact of our actions and the ripple effect they have. She shared something fascinating that she had recently heard; how the brightest stars are blue or red. But our sun is neither, yet it gives us all we need and allow so much life. The complete source of these thoughts are by Denise Stephens, an Astronomy professor and you can listen to her speech here, highly recommend it. It was inspiring to be with Jenedy because I could relate to here on so many ways. It was soul charging. She is such a dedicated person and she practices what she talks about, consistency. She is like the sun, just right! As I move through my journey I continue to go back to that sun lesson. I don’t need to be the brightest or biggest, I just need to shine my own light.